Prof. Habib, kindly say something about the school, college and university you attended? I belong to Matta Town of District Swat and as such I was fortunate enough to continue my early education at the Government High School Matta and Government Degree College Matta. I did BSc from Jahanzeb Government College Saidu Sharif. 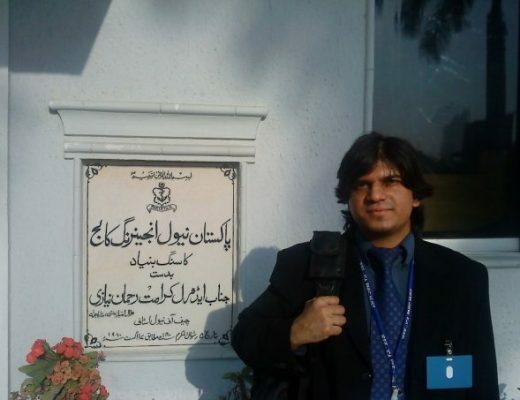 I studied at Department of Botany University of Peshawar for MSc and M.Phil and completed PhD from Punjab University. Prof. Sahib, which one of these institutions you like more? This is Jahanzeb Government College, Swat. How was it possible for you to get the distinction as a beloved teacher, best friend and excellent scientist? A naturalist by birth, adventurist by hobby and plant scientist by profession, I intentionally or unintentionally have always enjoyed the bitter challenges of life in dealing with tough professionals and have always converted problems into opportunities. One thing, which I have always tried my level best was avoiding controversies and resolving the issues through the joint wisdom. I have always tried to play my personal role towards exploring ways for minimizing problems of my associated people. Whether it is a classroom or lab or long lasting exploration of the cold desert of Hindu Kush Himalayas or the hot deserts of Thar and Cholistan, I always remained optimistic regarding the problems and was always succeeded to move forward for touching new horizons of excellence. What about your experience with Hazara University? Remarkable in the all areas e.g. teaching, academics, research and development. How is your experience with the Department of Genetics? Marvelous, I started Department of Genetics along with the independent Department of Botany in a single 8/12ft room and reached the climax of excellence. You would be glad to know that we were able to produce first PhD in the history of the University from the Department of Genetics. Apparently it is PhD but along with the PhD we also strengthened the University academically and paved direction for future PhD production. The voyage continued and besides excellence in teaching and research we were successful in delivering the quality research products for the nation. Could you comment on the research groups in your Department? As leader of the discipline I succeeded in establishing research groups on Human Genetics, Wheat Genetics, Rice Genetics, Molecular Genetics and Bioinformatics. Sir! Would you like to give few suggestions to enhance the role of research in Pakistan? I would answer the other way round i.e. our motherland is unique in many ways e.g. it spreads over at terrain where the altitudinal limits are below zero meter in the sea at Jiwani and reaching the second highest peak – K2 in the world. We have all types’ larger types of natural habitats in between the hot deserts in the south and cold desert in the north of the country. This land has plentiful of natural, resources alongwith variation of all types in the climate. As a nation we are still unable to quantify our resources and evolve strategies in accordance with our national priorities. The development is precisely possible through objectively phrased research targets and sedicated team work with a national spirit. Have these research groups introduced new products, etc? Certainly, we were able to introduce a variety of high yielding early maturing rapeseed, Pepino, a low input fruit crop with great market and industrial potentials. It starts bearing within 6 months after plantation and continues bearing for years. The fruit is native to the temperate Andean regions of Colombia, Peru and Chile. It prefers frost-free moderate weather and much sunshine and can easily be introduced as a commercial crop in northern hilly terrain of Pakistan. The fruit has the potential to be used against diabetes and cancer. The crop provides precious market returns and is commonly seen in the fruit markets of Columbia, Ecuador, Bolivia, Peru, Chile and Turkey. Development of its commercial cultivars and its fruit export to the international market has successfully been made in New Zealand, Turkey and Chile. Sir, what is your ultimate goal and which advice you would like to give for young scientists? You might know joining as a teacher once from the national (PARC) in 1989 and for the second time from an international (WWF) in 2005 proves my love for education and academic research. Here at Hazara University, as it was growing then; my priorities were to (a) establish academic departments (b) hire dedicated faculty for the departments (c) prioritize flagship areas for research (d) establish research groups and (e) produce highly skilled professionals for playing active role in the national development. By the grace of Allah, I succeeded in all the targets and the products are coming up in the form of new professionals with graduate and undergraduate degrees, new projects have been launched. New products are coming up. We started testing Pepino in May 2009 and succeeded to propagate it at. The crop has successfully been reached the field and has been producing delicious fruit sufficiently in large quantity, for the last couple of years. The beauties of Pepino crop are many. It is an evergreen shrub and can be used as ornamental even in the odd winter months of December and January. It starts bearing after six months of planting and bear twice a year – in March and October, under the mild climatic condition like that of Mansehra. It’s hardly in nature and can sufficiently tolerate frost and drought. At present we have raised 10,000 plants commercial utilization and has the capacity of regenerating millions of plants depending on industrial demands. 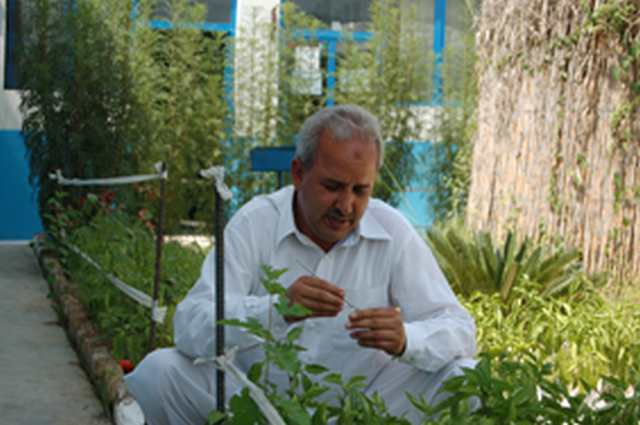 The academia at the Genetics Department of Hazara University has successfully demonstrated its role in introducing a highly productive cash crop. It’s now the turn of the industry to come forward take the technology and make use of Pepino for food security and improved livelihood of the marginal farmers.